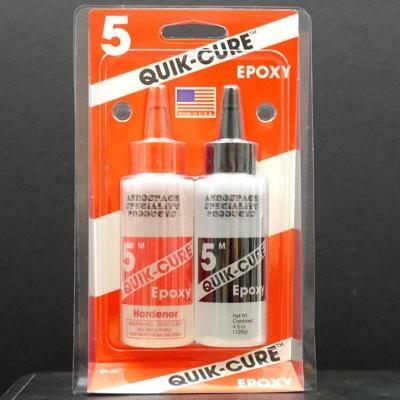 Two-part epoxy that cures to a slightly flexible consistency. It can be mixed with microballoons to form a quick setting putty. Items bonded with quick-setting epoxy can be handled after 15 minutes. Full strength is reached in 1 hour.